5th and 7th mayor of the District, was born in Charles County, Md. to a family that had first settled in Maryland in the early 1600’s. His first position in Washington was overseer of slaves at the Capitol construction site earning $15 a month. At his death he was a leading dealer in lumber and building supplies and owned one of the main wharves of the City. Smallwood entered public life in 1804 when he was elected to the City Council as Alderman. In 1820 he was the first mayor to be elected by popular vote. He was again elected in 1824 but died soon after taking office. 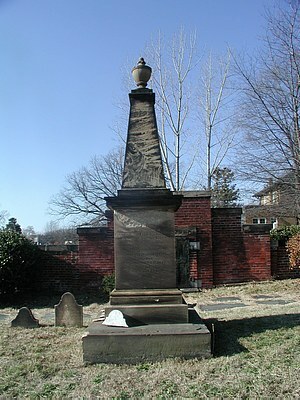 Smallwood was one of the founders of the Congressional Cemetery and signed the article incorporating the cemetery on April 4, 1807. 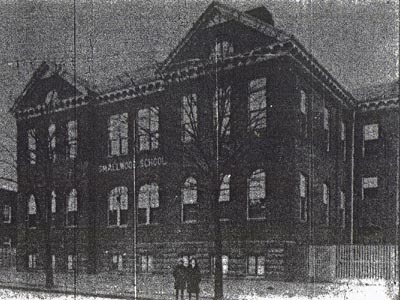 Razed in the 1960’s as part of the redevelopment of S.W.